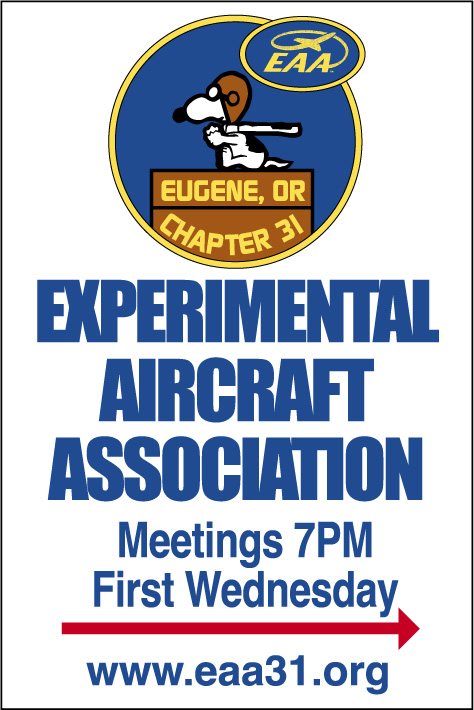 Welcome to EAA31.org, home of the Eugene/Creswell, OR chapter of the Experimental Aircraft Association based at Creswell’s Hobby Field. Founded in 1958, the chapter has a wide assortment of pilots, builders, and aviation enthusiasts who meet to discuss all things aviation. Our chapter meetings are on the first Wednesday of each month (Dinner at 6, meeting at 7PM) with a pancake breakfast on the third Saturday of each starting at 9AM.